If you have been in the Internet space for quite a bit of time, then you’ll know that for a lot of International transactions, you’ll need a credit card. This can be a hassle because in the scheme of things a person gets a credit card the last. Although it’s become much easier to get a credit card now, it still has to be applied for separately, and you don’t get it directly with a bank account like a debit card. A concept called Virtual Credit Card has been gaining prominence lately that are basically like credit or debit cards but are online, and there is no physical card. With a virtual card, users can transact from online vendors like Paypal, and this enables purchases across different vendors and merchants. Let’s take a look at some of these popular Indian Virtual cards. 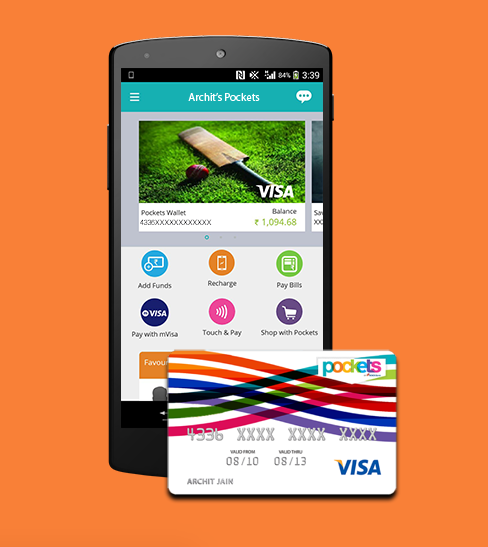 Pockets is an offering from ICICI that helps you with shopping. The Pockets application is powered by Visa and it acts as a wallet where you can send and receive money. Pockets also give you a physical card that you could use in stores. With this application, you will be able to transfer money to bank accounts, mobile numbers, email ID’s, Whatsapp and even Facebook. This makes it a very flexible wallet. The transactions you can make from Pockets is almost unlimited. You can use it for recharges, movie tickets, getting vouchers. With this application, you can split your expenses with your friends, so you’ll never overpay! Lime from Axis is another wallet offering from one of India’s top banks. This performs the function of any wallet. A good feature with this wallet is the ability to set reminders for your recurring expenses also set up a standing instruction where it automatically pays your monthly expenses. The Lime wallet also offers a tracking option where there’s a dashboard that shows your expenses and shows trends of your expenses so you can keep track. The Oxigen Wallet was one of the earliest wallet offerings in the country. One of the best features of Oxigen wallet is their cash back that they offer. One of their current offerings is a 25% cash back on recharging through Oxigen. There are apps for Android, iOS and Windows. The SBI Virtual Card is focused on the safety of the account holder. The primary details of the account holder are not shared, hence protecting the user. The virtual card is valid for a maximum of 48 hours or when the transaction is complete. 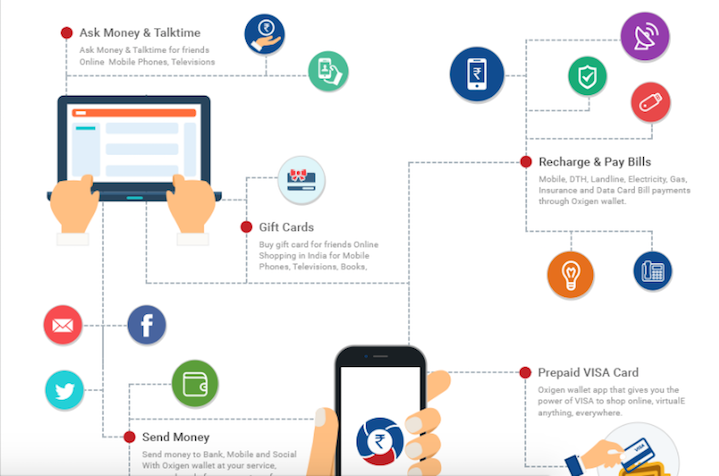 Freecharge is one of India’s top digital payments startup, and they have been around since 2010. 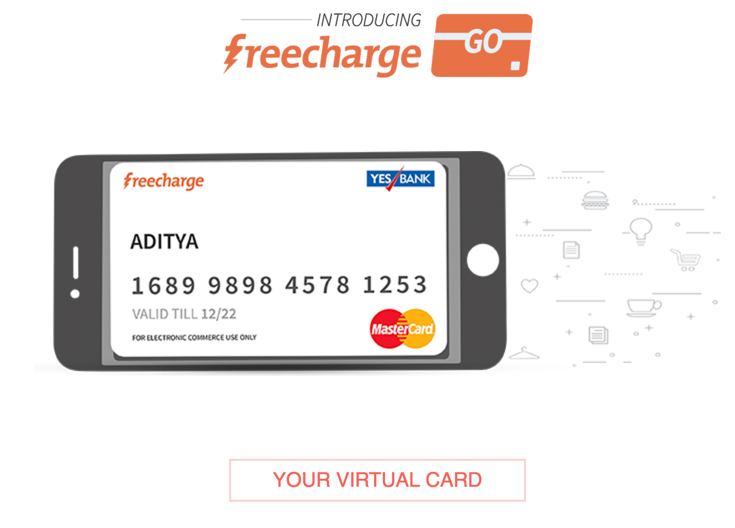 They offer a service called the Freecharge Go Mastercard. In a tie-up with Yes Bank, this is a free virtual credit card that aids you with online shopping and transactions. It is 3D authentication enabled and hence the security of every transaction is tight. You can use this card to purchase anything from eBay, Flipkart, Snapdeal, Amazon & many more E-commerce site from India. These are some of the options we’ve come across that give you the free credit card wallet services. You can use most of these cards for online purchasing in India. Do you know of any such Indian virtual card that allows shopping Internationally? Update: You can use the virtual card from Entropay to make online international payments. Let us know in the comments the services that you have used and how it has worked for you. Harsh, thank you for this article. This is the best list I have found on internet about free virtual Credit Cards Services. Looking for more articles like this. Can this be used as a bank account? IFSC code? Great post Harsh! I guess PayTm and Mobiwik can also be included in the list. 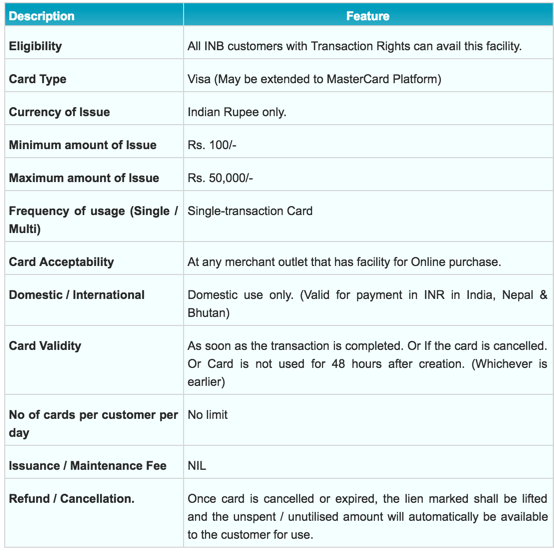 Great information… about virtual cards………. I got here from google search and this is very useful post related to virtual cards. thanks a lot. ICICI Pockets will be less secure.whenn we use that card for shopping, after swiping the card on swiping machine they don’t ask any security pins. great info about virtual credit card service. Thanks for the post. These Virtual Credit Cards services in India are pretty much good but as now most of the international online businesses have started accepting Indian Debit Chip Cards for online payments.